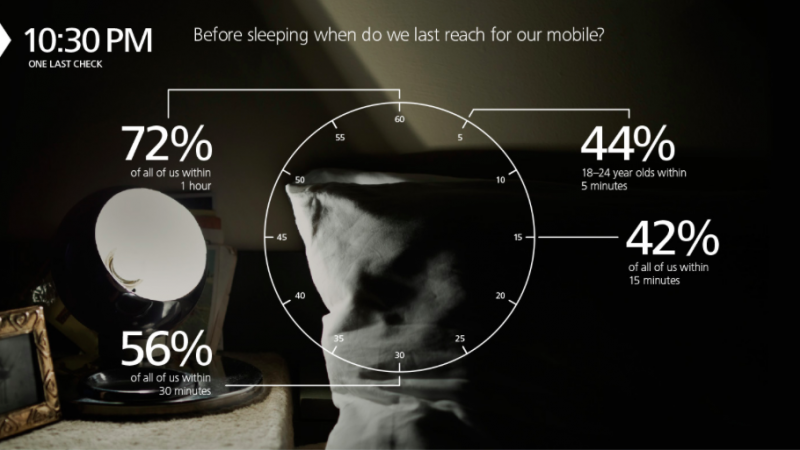 Over half of us reach for the mobile within 15 minutes of waking up each morning and 44% check the phone within 15 minutes of going to sleep each night. We check SMS, followed by our email and social media accounts, in that order. The statistics come from the second annual survey of 2,000 Australians as part of a global Deloitte study of 49,000 consumers spanning 30 countries. 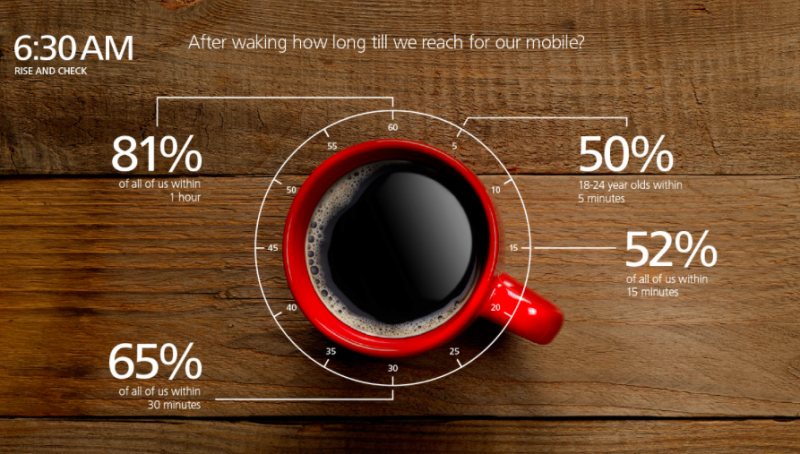 The study provided an insight into our mobile habits including where, when and how we like to use our mobile devices. One of our favourite places to kill time online is on public transport with 88% of respondents using the device to multi-task on the train. We also like to watch TV and use our mobile device at the same time with 83% of respondents admitting to this habit. Everyone - well nearly at 95% - has taken a selfie or photograph using our mobile phone; while 48% of us like to hold on to our old devices. While Samsung has the largest global marketshare for smartphones, we buck that trend in Australia, still preferring our Apple iPhones and tablets, but Samsung is chasing hard.